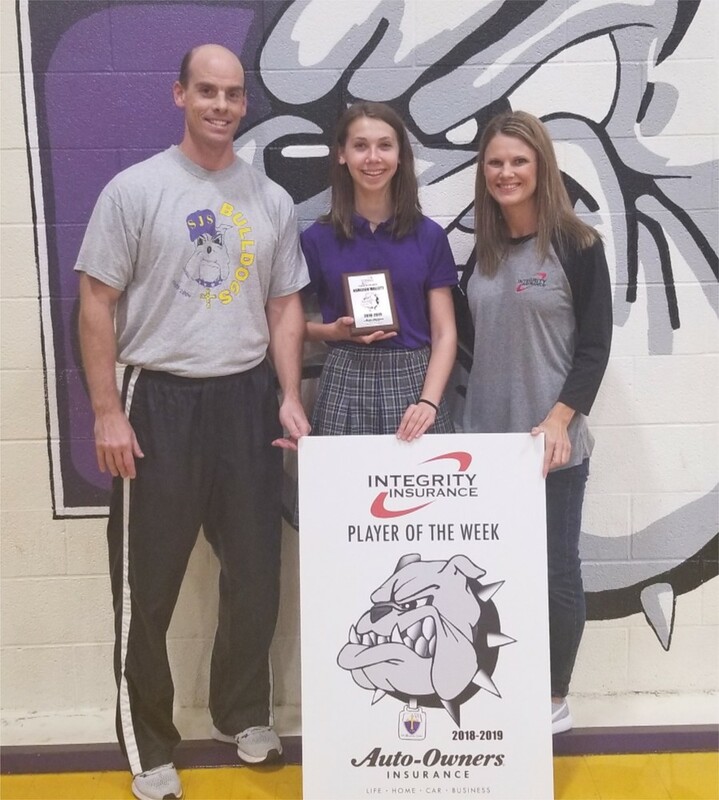 Ashleigh Mallett, also in the ninth grade, is the female Player of the Week selected by the Integrity Insurance Company. She's currently running Cross Country and has had some excellent times. She also plays basketball and will play softball in the Spring. Karin Fulgham, representing Integrity Insurance, and Athletic Director Brent Bruich stand with her.